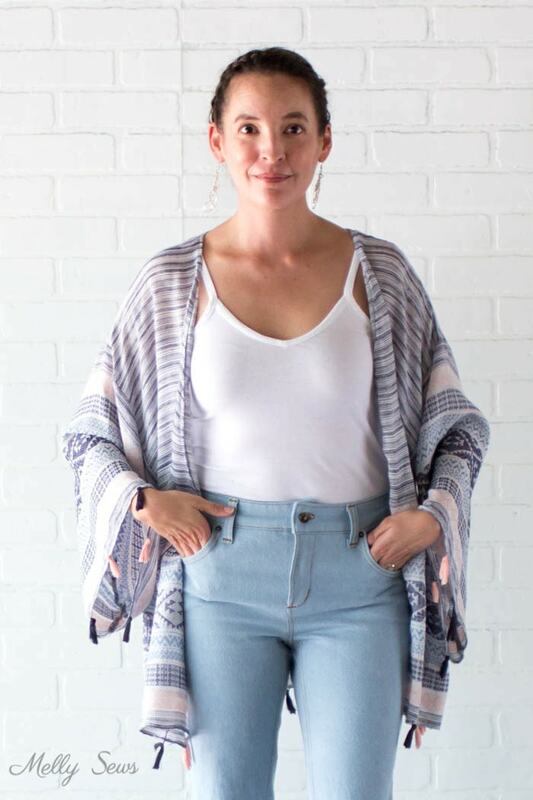 Confession: the first time I saw a girl wearing a sheer kimono with her cut offs and boots, I rolled my eyes and thought “only in Austin.” Little did I know I would later be coveting the same look. 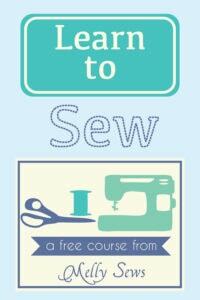 And luckily it’s easy to sew. 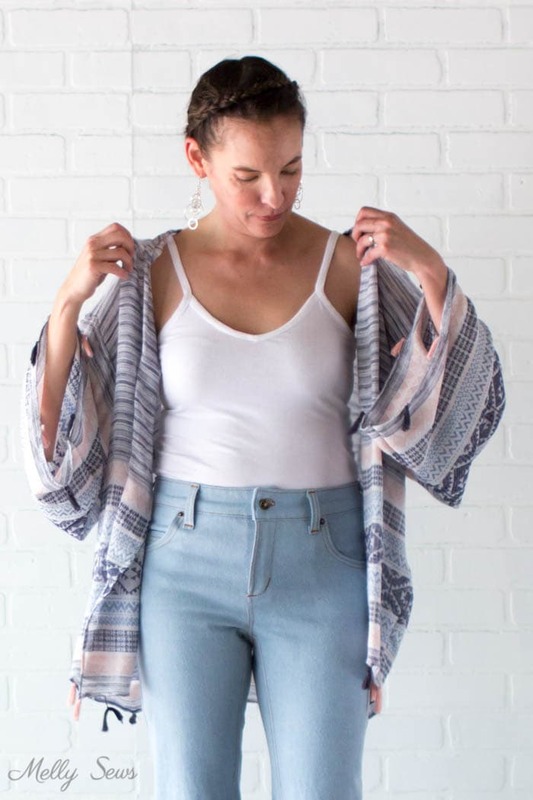 So today I’m going to show you how to make a DIY kimono, which you can sew from scarves or any other fabric, and which also happens to make a great swim cover. Incidentally, I also made the jeans and tank I’m wearing in these photos, but those are both subjects for other posts. And they’re both self drafted patterns. To sew my kimono, I started with two scarves. Which means that I got the tassel trim on the edges without having to make tassels. Score! And not having to make tassels gave me more time to practice my halo braid. I’m getting better at it! 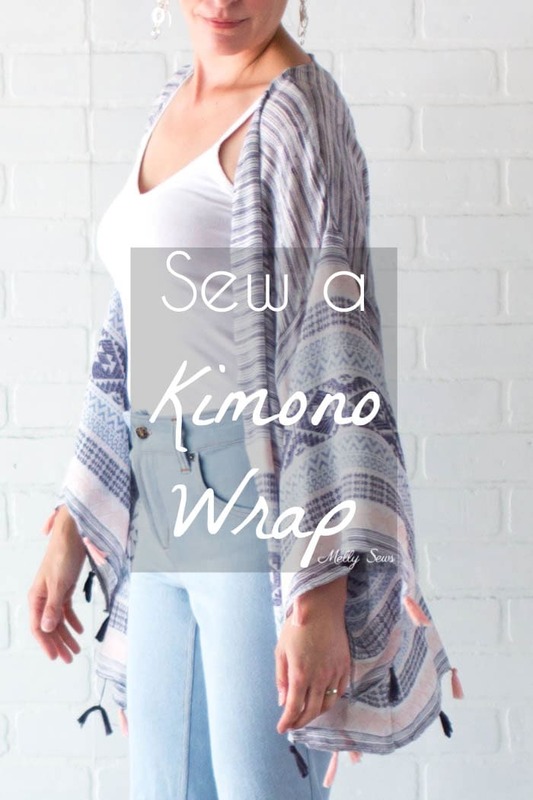 To make your own kimono, you’ll need a measuring tape and fabric around 2 yards of something sheer and drapey. Watch the video below to see how, or if you prefer you can watch on YouTube here. I also have written instructions under the video. and the width of your neck. 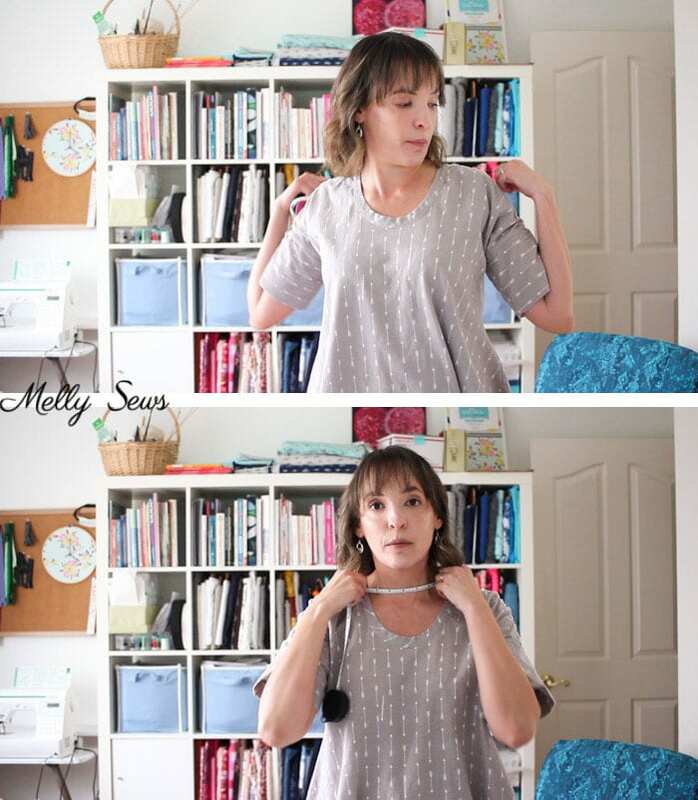 Also measure from the base of your neck to however long you want your kimono to be. 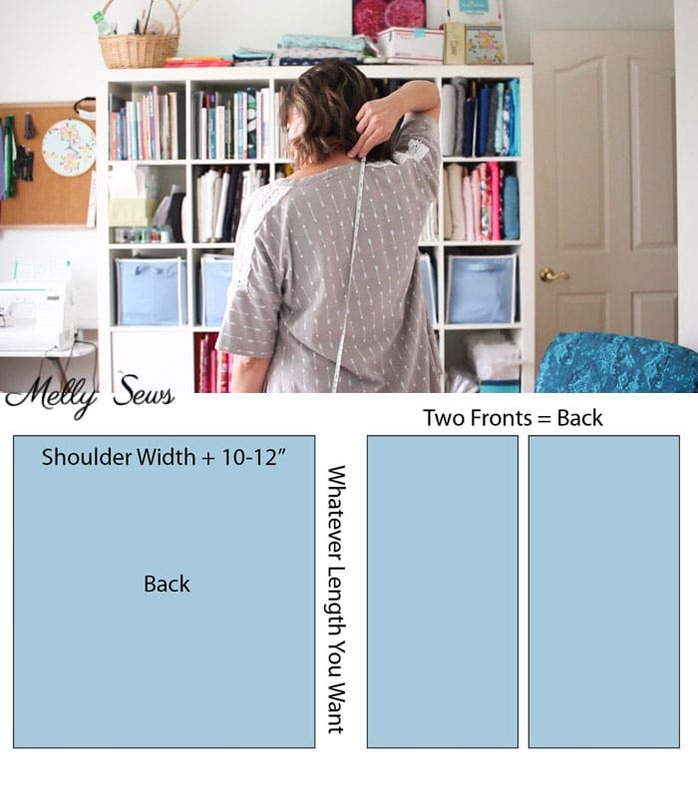 Make a back that is the width of your shoulders plus 10 to 12 inches, and two fronts that together equal the back piece. 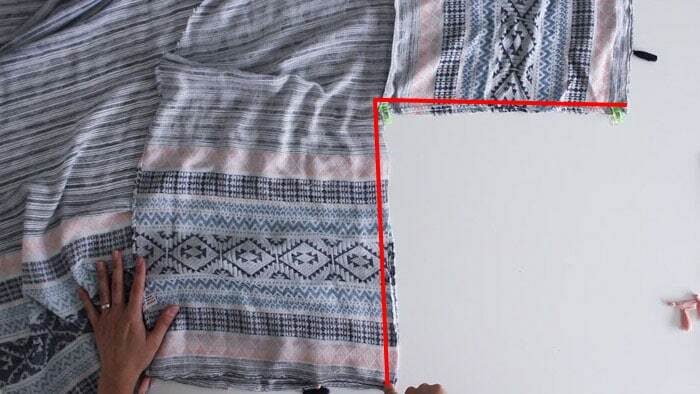 Lay your front pieces wrong sides together. Then measure in from center front half the width of your neck. Angle down from that point toward center front and cut. Then slope the shoulder – go from your neck point and angle down 1 inch by the shoulder edge. Cut. 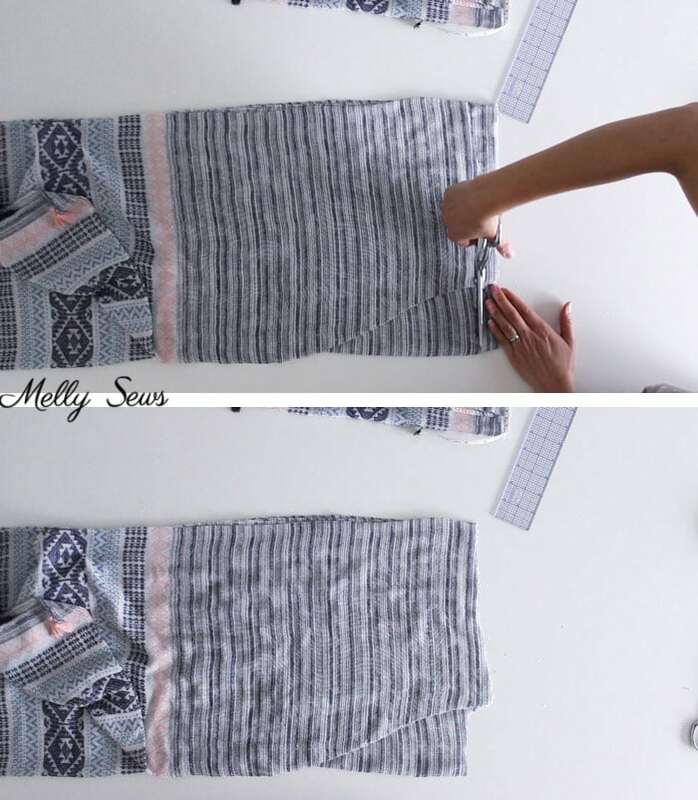 Fold your back in half and match to the front. Cut the shoulder slope the same, and also cut about 1 inch down to round off the back neck. 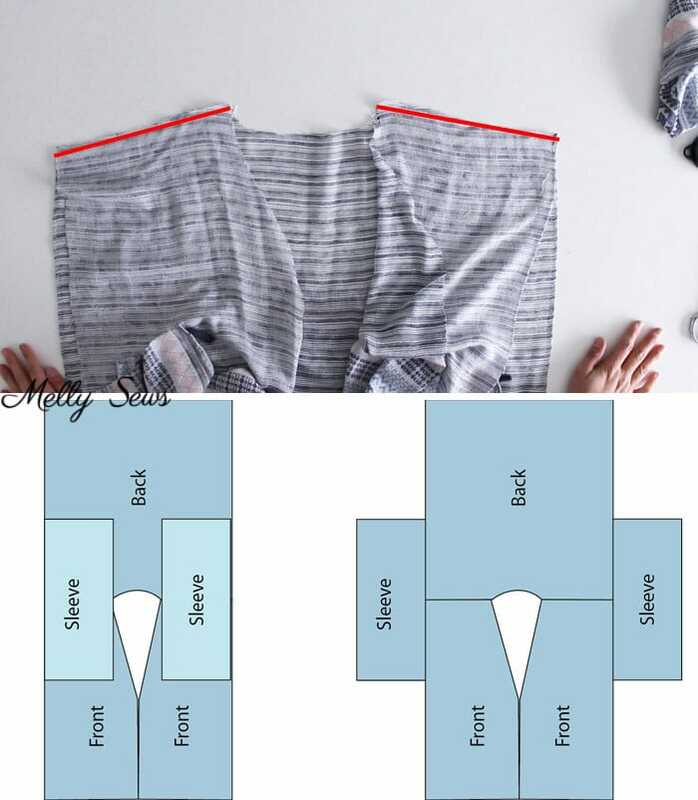 Place the fronts with the back right sides together and sew shoulder seams. Make two sleeves. Mine were 27 inches long and 13 inches wide. When I fold this in half, it’s almost a square. Sew the sleeves to the sides of the kimono, centered on the shoulder seams. Then fold the kimono in half and sew the underarm and side seams. Now all that’s left is to hem. 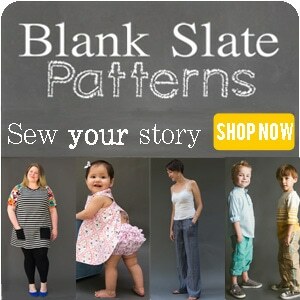 I did a rolled hem on mine, or you can do a bias tape finish like I did on this Blanc Tee. Great looking Kimono! Thank you very much for your great tutorials! I LOVE this! I cannot wait to try and make one for the summer! Although it is so hot here in Texas, I have to have my shoulders covered and this would be super cute over a tank and shorts. 🙂 Thanks for the tutorial! Melly, I am so glad I found you a few years ago when I made several skirts from your free ALine pattern. Of course you made your jeans and tee, why wouldn’t you? You are so talented. 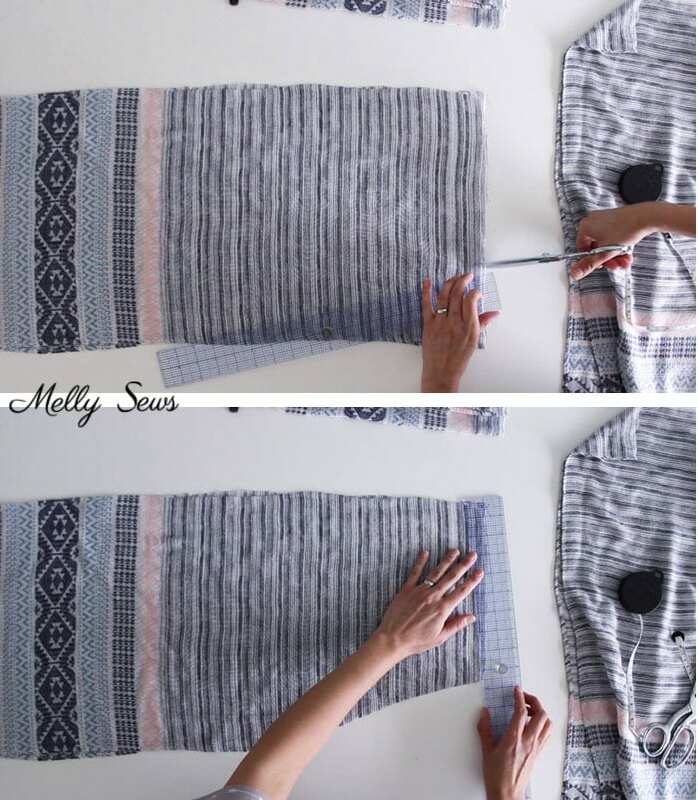 Thank you for this easy tutorial for making a kimono. The best part is being able to choose types of fabric that I prefer, rather than settle for what is available in ready made, not to mention the pricy tags. Ciou Bella.